Nowadays decision makers in fire protection face the job of producing an efficient service even with decreasing resources. Diminished budgets cause the attention of the persons responsible to be equally directed on cost-saving as on firefighting. So the IFEX® Upgrade units are considered to be effective tools in the arsenal of the fire brigade internationally. Whichever vehicle you may use in your normal work routines, whether passenger car, estate car, pickup truck, flatbed or panel van, whether motorcycle, tractor, train or even helicopter – with the IFEX® Upgrade units you make your working vehicle or emergency vehicle within minutes into a self-sufficient, highly effective Impulse fire engine. So you can already effectively fight fires in the emerging phase, without having to maintain highly specialised fire engines. 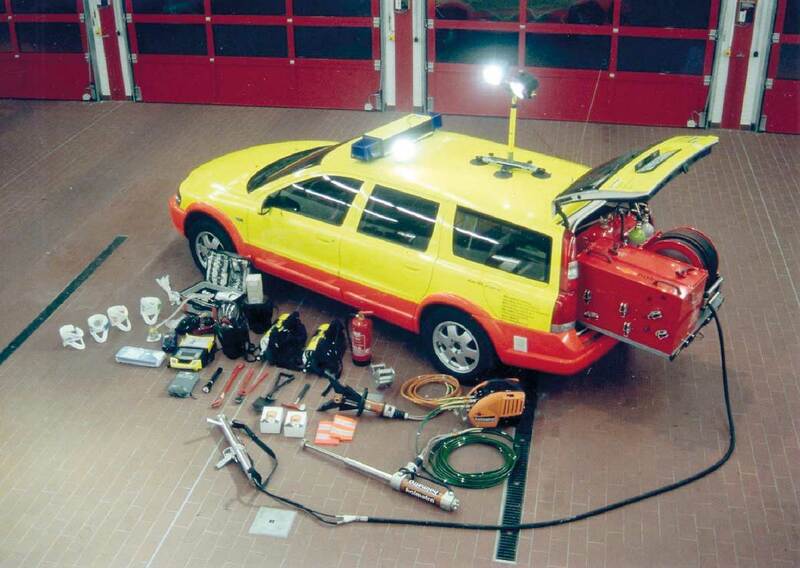 These vehicles equipped with the IFEX® firefighting system are used by the Hamburg fire brigade in the Elbe tunnel.